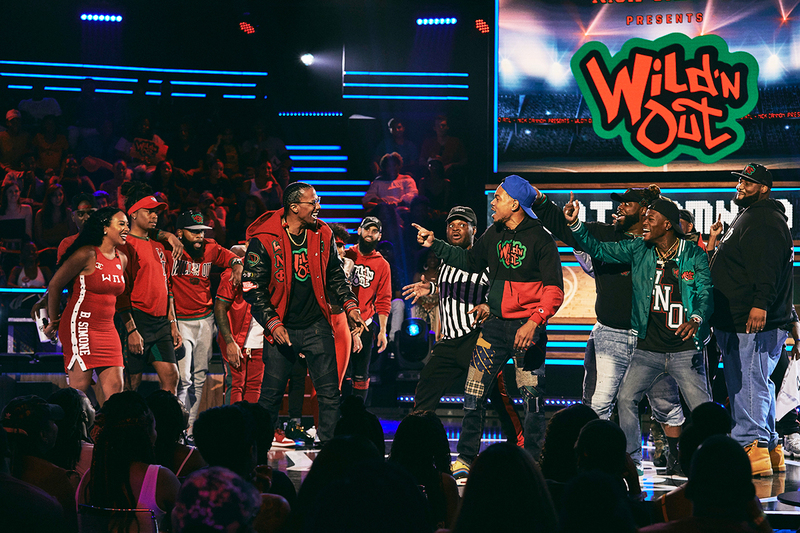 Aside from the infectious energy, watching the live taping of hip-hop improv show Wild ‘n Out isn’t much different from watching the show itself. While TV viewers get commercial breaks, the live audience waits as cast and crew run around the stage preparing for the next segment. As the audience dances at their seats in between the show’s game segments, which pit two teams against each other, stagehands coordinate how mics will be conspicuously passed through the crowd. There aren’t many redos. The cast is polished and equipped to roll with the unpredictable nature of filming in front of a live audience. Much like in the version that airs, if a joke doesn’t stick, they keep trying until one lands. For several weeks this summer Center Stage was transformed into a studio for the long-running MTV series. Led by Nick Cannon, a group of comedians and a rotating cast of celebrity guests filmed episodes for the 12th season of the show. During a Thursday afternoon taping in July, giant screens on the stage revealed the celebrities that would be participating in the episode—rapper Bun B and Xscape singer Tameka “Tiny” Harris—as the audience danced to Lil Jon’s “Get Low.” The cameras hadn’t started rolling, but the audience was already performing as if they were being filmed. A crew member warned them that aside from an area where press was situated, there wasn’t a seat within the circular set free from view of the cameras. The set was rarely quiet. Even when the show wasn’t filming, laughter and cheers filled the room as the cast poked fun at members of the crowd and encouraged dance competitions. The show’s move to Atlanta makes sense for a lot of reasons—the tax incentive given to local TV and film productions being just one of them. It feels fitting that the hip-hop show has positioned itself squarely in the center of one of the country’s hip-hop capitals. Nick Cannon teased a Goodie Mob reunion on the upcoming season and said Atlanta celebrities such as Kandi Burruss, Dwight Howard, Yung Joc, and Lil Scrappy are among the special guests who will make an appearance in the upcoming season. Shortly before releasing four new songs on streaming platforms, Chance the Rapper filmed the episode that will serve as the one-hour season premiere on August 17. He said familiarity with the city has influenced his work outside of Wild ‘n Out, too. While the show taped in Atlanta over the summer, Cannon was busy working on several other projects. He recently announced a partnership with FBE involving development and co-production deals for multiple TV shows. Additionally, he’s planning to release a new album before the end of summer and preparing to announce a new gig as the host of The Masked Singer, a celebrity singing competition set to air on FOX in 2019. Cannon is also working toward obtaining a degree in criminology from Howard University. 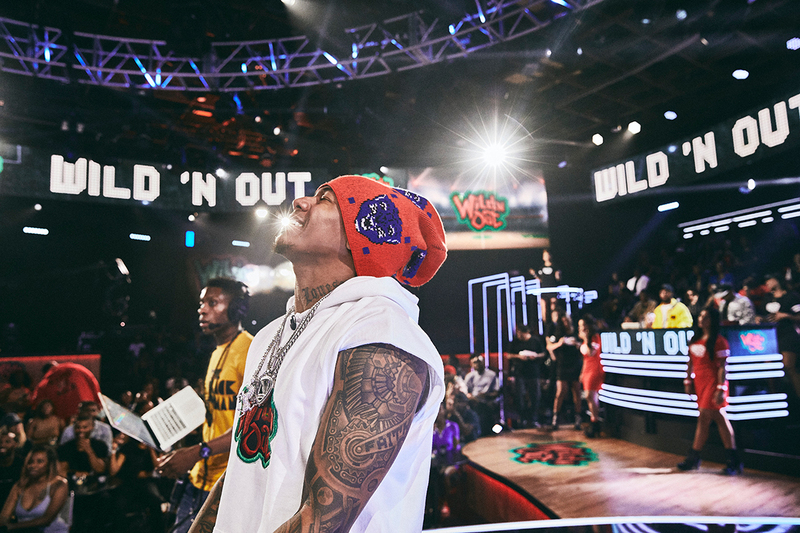 And in October, he will return to Atlanta to film season 13 of Wild ‘n Out. 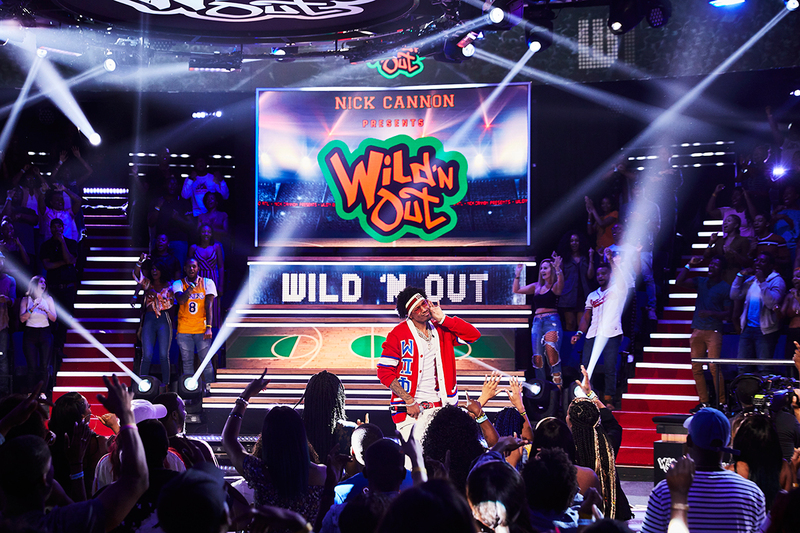 But despite his hectic schedule, there’s no sign of exhaustion when Cannon finally steps on the Wild ‘n Out stage to begin filming. The audience, already hyped by pre-show comedians, are up out of their seats, dancing and reciting the show’s “Wild ‘n chant. They and Cannon both are ready to put on a show.